In France, the yellow vests movement, some of whom are inspired by nationalistic racism and others need community and support, continues to monopolize the attention of social media, forging a large variety of opinions. Some talk about the suffering that pushes them to hit the roundabouts, others talk about shattering the government, all are the product of the neoliberal austerity creed. The trigger was the implementation of a new tax on diesel fuel that was going to impact mainly the population who has older cars in the outskirts of big city suburbs and the rural population. Additionally, diesel fuel was once subsidized to serve the interest of oil companies and is now officially identified to be responsible for premature death due to deadly micro particles released in the air after combustion. Should the concerns be also about climate change with the building of a disaster? Should the perpetuation of economic interests be questioned? Instead of asking these questions, the official discourse from a large political spectrum revolves around consumer purchasing power and unemployment. In this European setting, the term suffering is largely used to depict a large range of social situations. 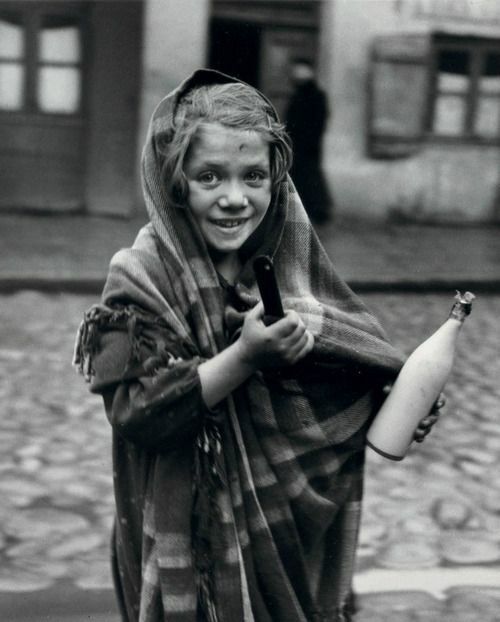 What does it mean to be suffering in France and elsewhere? Who is suffering? Here is Trump’s understanding of the notion of suffering: “On behalf of our nation I want to apologize to Brett and the entire Kavanaugh family for the terrible pain and suffering you have been forced to endure.” The suffering endured by Salvadorans, Hondurans and Guatemalans who were facing death at home and now are facing repression going north does not qualify as suffering for Trump and his cronies. In Europe, the suffering of 49 migrants who had been rescued by humanitarian ships in January has been ignored. This came after the closure of many ports of access, decided arbitrarily by the Italian Government against sea-rescue organizations. 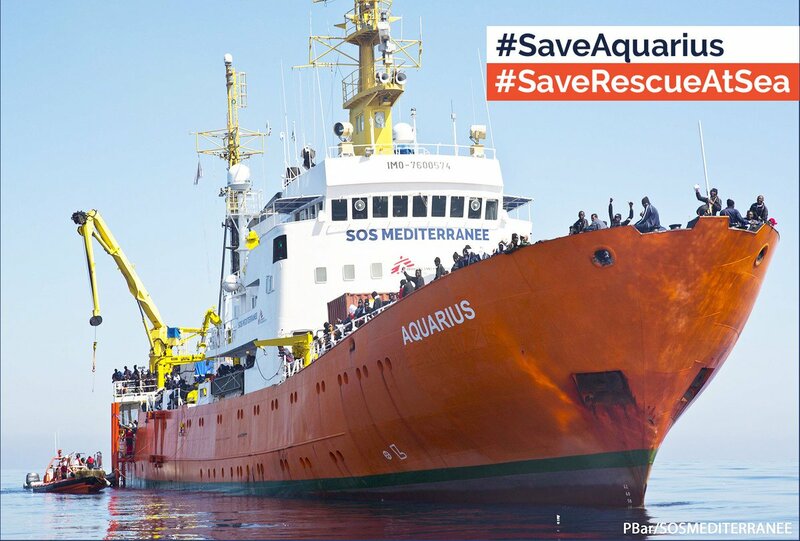 These organizations, such as SOS Mediterranée, were created after the end of Mare Nostrum to compensate for the absence of official rescue ships. Now, it is the turn of these non-governmental organizations to be dismantled by the authorities. The United Nations Refugee Agency, UNHCR, just released a report about refugees/migrants arriving in Europe and at European borders. Reports come with numbers. 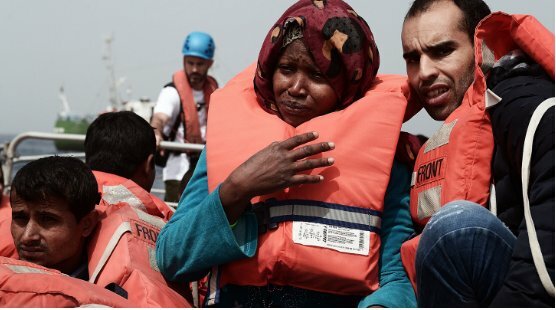 With an estimated 2,275 people drowned in 2018 in the Mediterranean Sea, the year is a record of deaths compared to the number of arrivals in Europe. More than 1500 people have already died attempting to reach Europe since the beginning of 2019. This situation casts doubt on the decisions by nation-states to remove rescue ships and close land routes rendering traveling to safety very dangerous. Saving lives would be a good idea, but there is a good deal of suffering awaiting the saved lives when they face asylum process. Incarceration of migrants is on the rise in Europe; that is the project of the Italian minister of interior, Matteo Salvini. There is another way, leaving them in the streets with the increasing homeless population, thanks to neoliberal austerity. Women are particularly vulnerable when homeless. Every year, the Abbé Pierre Foundation sarcastically rewards the best initiatives to impede the homeless from finding a place to rest in cities. The award called “Les Pics d’or” (golden picks) goes to municipalities, metro stations, even banks. They render public spaces uninviting and uninhabitable with all kinds of devices, picks, individual seats instead of benches, rocks, and massive planters. And then there are the police raids slashing tents given to migrants by humanitarian helpers. So much work done by the neoliberal technocrats to make the Wretched of the Earth suffer, while the richer are thirsty for help and assistance for their leisured life. Although it seems cliché, this reality of asymmetry is well described in the most recent World Inequality Report. There is no crisis of migration: only 3% of people migrate, 97 % stay where they are, 70% of African’s migrants remains on the continent, and, in 2017 only 10 % of migrants migrated for economic reasons. In France, only 0.5% of the population is undocumented; although they are eligible to free health care some are dreaming to create administrative devices to impede their access to health care services. So much confusion about suffering generated by economic austerity, migration. Let’s remember: “Sapiens Africanus was born not in a lattice of sharp borders but rather an open ecosystem, punctuated by climates, shortages, abundances, droughts, and floods, ruptures and junctions, alliances, parasitisms, antagonisms, sharing, and exploitation….” Patrick Chamoiseau in Migrant Brothers, imagine migrant sisters! It is wet and foggy in the fields of Bedfordshire and our shoes fill with mud as we walk away from the group of policemen that have followed us in a circle along the fences of Yarl’s Wood migrants’ detention centre. This Saturday, the 5th March, as women demonstrate in London at the start of International Women’s Week, a group of migrant rights, no border and feminist activists travel to Bedford to bring our solidarity to the migrant women (and men) detained in Yarl’s Wood. We manage to reach the women locked in one of the units. At a distance, we can’t talk to the imprisoned women, but we can chant with them. We cannot hear exactly what they say but one message arising across the barbed wires is simple, loud and clear: ‘freedom, we want freedom’. Yarl’s Wood is one of the seven privately run ‘Immigration Removal Centres’ in the UK, detaining ‘irregular migrants’ on behalf of the UK Border Agency. Initially the building accommodated 900 people in two blocks, making it the largest immigration prison in Europe. In February 2002 the capacity of the centre was reduced after one of the buildings was burnt down during a protest organized by detainees against staff harassment. At present the centre is composed of 4 units ‘hosting’ about 400 people. In February of last year, the situation in the removal centre again exploded. The horrible conditions of detention were denounced by migrant detainees as some women decided to start a hunger strike demanding an end to indefinite and abusive imprisonment. In an attempt to end their protest, the management subjected many of the women to violent attacks and various forms of punishment. At that time six women detainees, accused of being ‘ring-leaders’, were moved into isolation and prisons. On the 25th January, after almost a year in Holloway prison, Denise McNeil, one of the `leaders’, was granted bail at an immigration court. Two women still remain in jail without charge: Aminata Camara and Sheree Wilson. Activists from the campaign to Free the Yarl’s Wood 3, including members of No One is Illegal, No Borders, Crossroads Women’s Centre, Communities of Resistance, Stop Deportation Network and members of the RMT, filled the court for Denise’s bail hearing. They provided an important support and will keep campaigning ‘for Sheree and Aminata and all the people in Yarl’s Wood until the centre will be closed’. (For updates, see Free the Yarl’s Wood 3 campaign Facebook page http://www.facebook.com/pages/Free-Denise-Now/174533002581566 and Twitter feed: @freedenisenow. Also see the NCADC site: http://www.ncadc.org.uk/campaigns/DeniseMcNeil.html). The reasons for the detention of people in centers like Yarl’s Wood are multiple, and sometimes quite different. One of the activists involved in the campaign to support the hunger strikers explained to me that many of the women who end up in detention have already served a prison sentence, often for a minor offence, such as using fake documents to travel or work. Rather than being released, these women are transferred back to detention as a ‘second punishment’ where they wait for their immigration case to be cleared and eventually granted status or deported. They are trapped in an indefinite space of juridical and existential limbo, from one prison to the other, on the grounds that their migration case is still ‘pending’: they cannot be returned to their country of origin (on complex juridical or humanitarian grounds), and yet their status as asylum seekers is not recognized either. Denise has just been released on bail, and her status, as well as her future stay in the UK, remains uncertain. 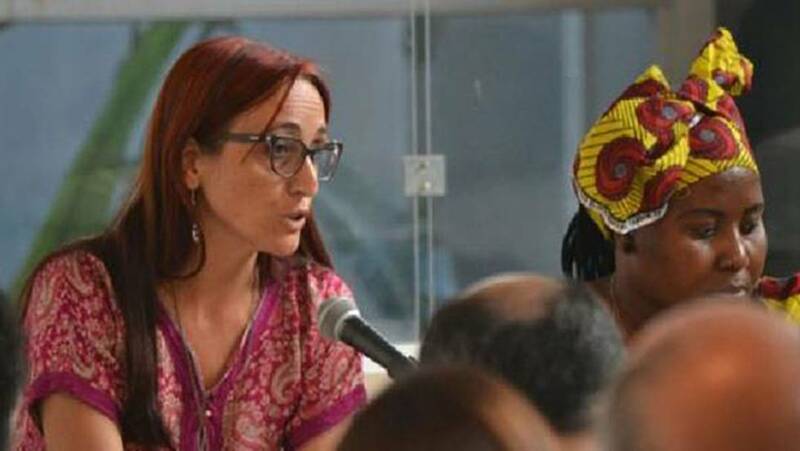 However, her case shows how important the external support of migrants’ rights activists to sustain legal individual cases can be by helping access legal advice and to build publicity around their otherwise invisible stories. While it may appear only a small achievement, these forms of solidarity provide the migrant women with encouragement and help instill confidence as they engage in the hard battles for freedom of movement and the right to stay in a country where they have worked and toiled for many years. In many cases the women are ‘caught’ by the UK Border Agency after many years of residence in the country, where they have probably built a family, found work and made a home. This is a typical story for the women detained in Yarl’s Wood.